About Us - Chapman Engineering, Inc.
After emigrating from England and working for some of the most dynamic aerospace and electronics manufacturing companies in Los Angeles, Ernest and Mary Chapman decided to open their own short run stamping company. 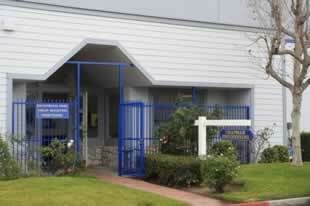 In 1972 Chapman Engineering opened for business in El Segundo, California. After gaining a reputation for being honest and reliable, the couple moved the company and its growing list of loyal customers south to a larger facility in Santa Ana, California. By 1982, both the Chapmans’ sons, Kelly and Dion, had joined the company, and in the 30-plus years since, the company has continued to grow through economic good times and bad. Along the way, Chapman Engineering has been able to attract talented young employees like Adam Diethrich, Zack Fleischer, and David Smith, giving us a management team 20 years younger than the industry average, yet still retaining over a hundred years of combined manufacturing experience . With its original reputation for reliability and honesty, and a unique and flexible manufacturing system based on excellent record-keeping, the most modern equipment available, and fiscal responsibility, our company has grown into a multimillion dollar business, employing many young people from the local empowerment and enterprise zones, a practice we plan to continue for many years to come. Chapman Engineering's customers continue to enjoy fast, reliable service at very competitive prices, along with the peace of mind that comes from dealing with a company that values every job it gets, big or small. If you would like to become one of these happy customers, use the contact info on this page to request a quote or arrange a visit.